Our students can study for qualifications at our partner colleges in the UK and abroad. 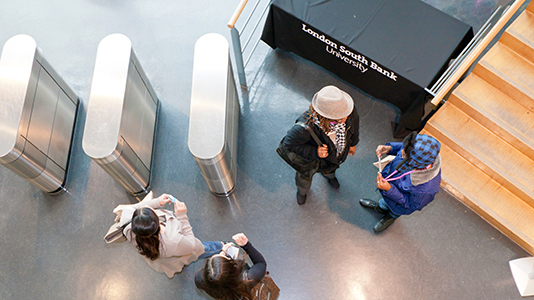 In addition to the courses available at LSBU, students can study for a wide range of qualifications at one of our UK and international partner colleges. Our travel and hospitality courses offer international opportunities through our collaborations with ESHotel Paris, France and Independent Science and Technology College, Greece. We also work closely with local schools, Further Education and sixth form colleges to organise activities and projects for young people that encourage their participation in Higher Education. Courses in Education maintain partnerships with a range of education providers to enable teacher trainees to build their skills in context.